Mobile usage is just going up and up and up - and that's not for chatting on the phone. Mobile providers are increasingly finding users are using more data than calls or text messages, and billions of apps have been downloaded since Apple launched its first iPhone. There are even statistic showing that it's now common for people to be using their phone while simultaneously watching TV. 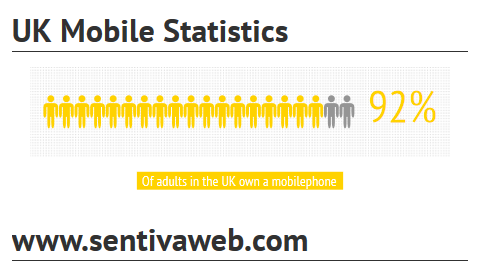 In 2012, 32% of adults accessed the Internet using a mobile phone every day.